Neoprene is the perfect material to protect from cold and heat when using a LN2 or compressor cooling system. 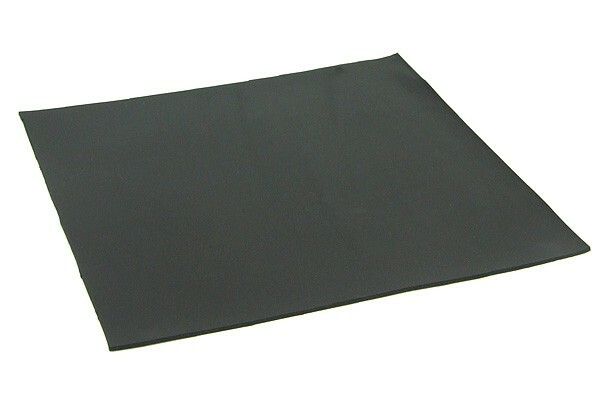 The great insulation capabilities of foamed Neoprene are well-known. Of course the rule of ''the thicker the better the insulation'' also applies with neoprene, but also that the thicker the material the harder it is to shape it. The applications for a PC system are mainly when using LN2 or compressor cooling for Motherboard or evaporator cooling or as insulation on other cold components to prevent condensation. Neoprene is especially suited for prevention of condensation as it is water-repelling!